Spring in Dallas means patio brunching, leisurely walks at White Rock Lake, and maybe even a tropical trip or two. It is also a time for the Dallas social set to shed their fur coats and come out of hiding for a lively and lengthy season of fun and fundraising. That said, every Dallasite is wired differently. Some prefer daytime activities (like the beloved Saint Valentine's Day Luncheon and Fashion Show); others opt for concert galas as big as Texas (think United Way's Unite Forever Gala at AT&T Stadium). And you know we love them all. I've rounded up the best spring charitable events in Dallas. And depending on how you define philanthropic fun, we expect to see you at one or two of them. 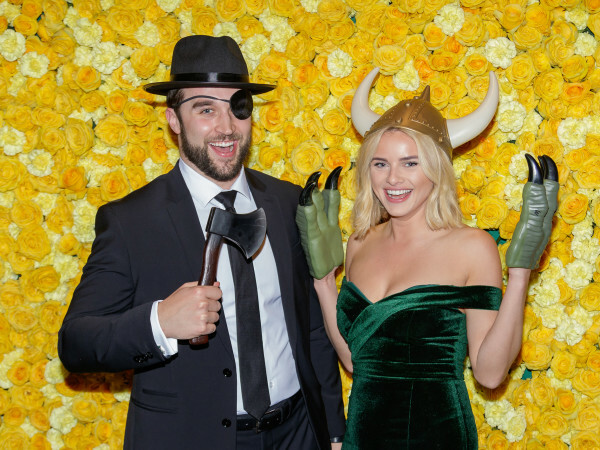 DIFFA Dallas completes its fundraising season with a black-tie gala unlike another other, when more than 2,000 patrons show up in their most avant garde apparel to partake in people-watching and a spectacular fashion presentation. This event showcases a curated selection of one-of-a-kind jackets created by local and internally renowned designers, and all proceeds help fund HIV/AIDS service organizations in North Texas. Individual tickets start at $375. The Women's Council of the Dallas Arboretum has made this annual luncheon quite the local tradition. 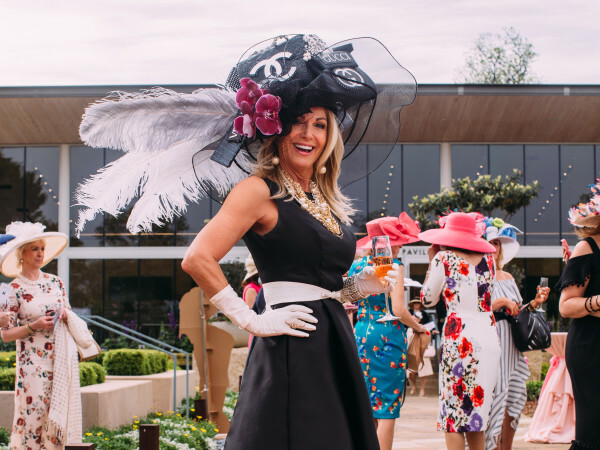 Celebrating 27 years with an "April in Paris" theme, this luncheon brings out the competitive spirit in the creative women (and a few daring men) who wear wild, whimsical and wonderful hats. Women sip champagne on the beautiful arboretum grounds before taking in some amazing fashion and delicious food. What's not to love? Individual tickets start at $200. If you believe in the mission of the Dallas Museum of Art, then you have to attend this grand gala. In just the last 15 years, Art Ball has raised more than $22 million to support the museum's commitment to engaging and educating the community. Art Ball 50 celebrates, you guessed it, the 50th anniversary of this annual event, and we are anxiously awaiting chair Nancy Carlson's entertainment announcement. It may be hard to top John Legend, who serenaded last year's crowd. There are several underwriting opportunities available. This unique exhibition and auction held at the Goss-Michael Foundation brings together iconic and specially commissioned artworks by established and emerging talent. Nothing is off-limits at this artful affair, and that includes the fantastic fashions worn by attendees. 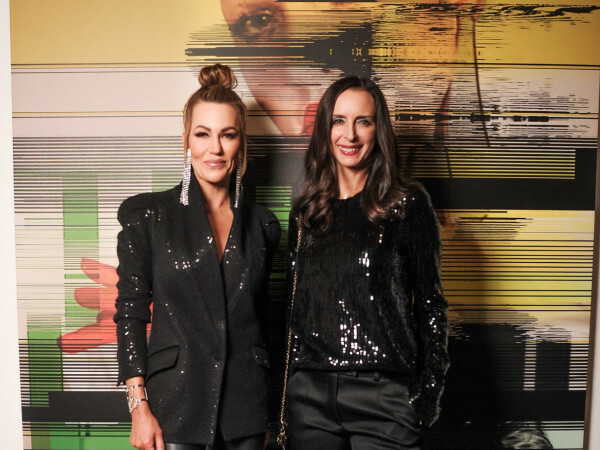 All proceeds from sales benefit the MTV Staying Alive Foundation — to date, the event has raised nearly $4 million for AIDS research — and the Dallas Contemporary. Individual ticket prices start at $1,000. This is one party in Dallas where you should bring your kids. Join more than 500 patrons of the Nasher Sculpture Center for family-focused fundraising that engages your artistic side with hands-on activities and workshops led by local and national artists. Raising money for the Nasher's educational initiatives, this third annual celebration of youth art education also features great live entertainment and kid-friendly food. Ticket packages start at $500. This is the event for those who like to leave a luncheon feeling inspired by a speaker. The Genesis crew, known for bringing in someone remarkable, welcomes Maria Shriver as the keynote speaker for 2015. Shriver is a Peabody- and Emmy-winning journalist and producer, a six-time New York Times best-selling author, a former first lady of California, a current NBC News special anchor and a mother of four. Needless to say, she has a lot of stories to tell and a lot of advice to give. Underwriting opportunities start at $2,500. A culinary tradition at Rosewood Mansion on Turtle Creek, this outdoor bash showcases the culinary talents of chefs from Dallas and around the world. There is so much good food — and wine — that you almost can't get to it all. Almost. Those who like to go home with a little something can check out the stacked silent auction and wine cork pull. And there is always live music that inspires attendees to get on their feet. For more information, contact TACA at 214-520-3930. This is the first year LLS is hosting this event in North Texas, so trailblazing movers and shakers should get on board. The Man and Woman of the Year campaign is a 10-week fundraising blitz that pits top Dallas-Fort Worth business and community leaders against each other. This year's list of candidates includes Imran Sheikh, Keith Pearson, Stuart Boslow, Larry Anderson, Erin Ragsdale, Gina Cook, Kim Carter, Kristy Wassenaar, Mai Caldwell, Saadie Sheikh and Adine Zornow; they compete in honor of children who are cancer survivors, the Boy and Girl of the Year. The campaign kicks off March 26, with a celebration at the Renaissance Hotel, and the Grand Finale Gala takes place at the Westin Galleria on May 30.